Lillian B. Liberti, 96, of Crestline, passed away on Sunday, Jan. 13, 2019, at Crestwood Care Center, Shelby. 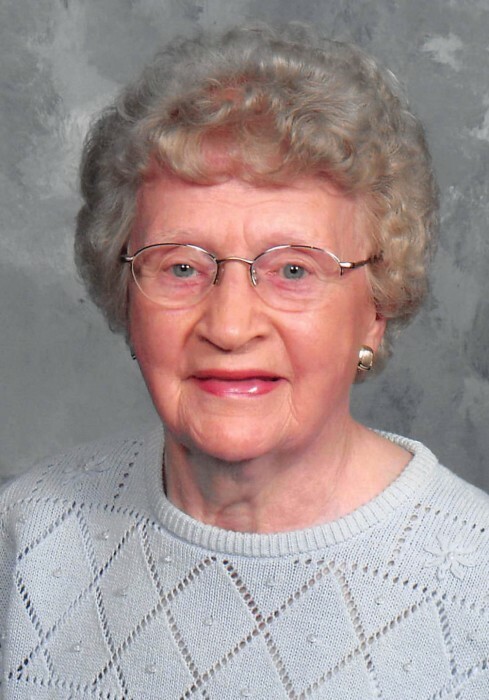 Lillian was born in Arcadia, Wisc., on Jan. 8, 1923, to the late Christ and Clara (Moe) Sveen. She married Benjamin A. Liberti on March 29, 1946, and he preceded her in death on Feb. 26, 2002. Lillian served her country in the U.S. Army during World War II. She was a member of Trinity Lutheran Church, Crestline. Lillian was a member of the Birthday Club of Crestline Memorial Hospital where she worked as an aide. She retired in 1994 after 20 years of service. Lillian was a kindhearted and wonderful woman who loved her family. She is survived by her two daughters, Pat and Tim Simmermacher, Crestline, Deb and Mark Ward, Mansfield; her grandchildren, Rick and Tamara Liberti, Greg Liberti, Melissa and Mark Vogt, Zach Simmermacher, Kyle and Karling Ward, Emily and Ben Gorenflo; 12 great- grandchildren; 4 great-great-grandchildren, and one on the way; her sister, LaVonne Prudlick, Wisconsin; and her sister-in-law and brother-in-law, Alba & John Plutt, Cleveland. In addition to her husband, she was preceded in death by her son John Liberti; and her five brothers, Milan, Clifford, Spencer, Basil, and Roger Sveen. Friends may call Friday, Jan. 18, 2019, from 11 a.m. – 1 p.m. at Trinity Lutheran Church, 410 North Thoman St., Crestline, Ohio. Funeral services will immediately follow at the church at 1 p.m. with Pastor Diana Seaman officiating. Burial will follow in Crawford County Memory Gardens, Crestline. The Schneider-Gompf Funeral Home, 223 W. Main St. is honored to serve Lillian’s family. Memorial contributions may be made to Trinity Lutheran Church, Crestline, in care of the funeral home.